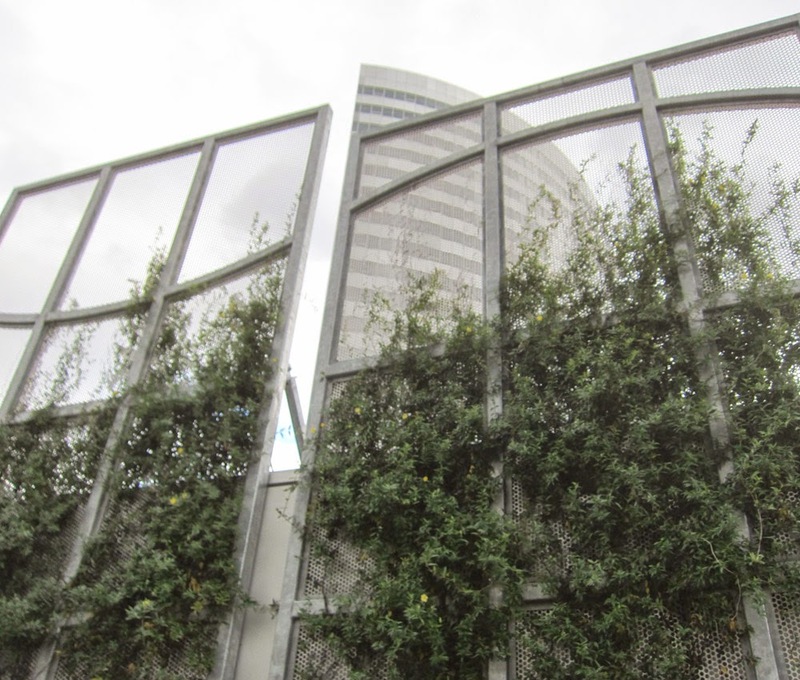 The next time you're enjoying a walk about Rosslyn, meander up Rosslyn's green sky-road Freedom Park and take a look at the green trellises at the top. These trellises cover up a nasty array of satellite dishes used for non-local (yuck!) news coverage. These trellises seemed to have been inspired by Artisphere's green wall and Rosslyn's beautiful curves.